I need an around town halloween hunt list for adults (boys vs girls). There are two hunts on my scavenger hunt site that would suit this request perfectly. You can check out my halloween scavenger hunt and my halloween costume hunt at Scavenger Hunt Fun. There is also a Halloween Riddle Hunt at Scavenger Hunt Fun which is a bit harder because the riddles have to be solved before the items can be found. 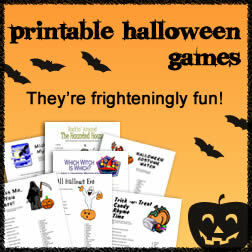 You can even use some printable Halloween games as challenges similar to the Amazing Race. 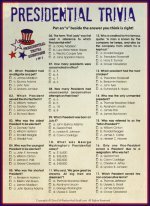 For the young (or young at heart) there is even a printable Halloween clue hunt available for you to use. You need at least 6 people, including yourself and then you and your friends divide into 2 teams of 3. You and your team have to go around the neighbourhood looking to find certain candy when trick or treating, and pictures of certain cosumes that people are wearing (but ask them before you take the picture!!) or even things that you can hide yourself! It's super fun! Hope you try it! My son (24) went on an around the town treasure hunt when he & his buddies were 16. They had a blast. The hostess made trophies out of paper-mache & painted them gold, silver & bronze. The kids had a blast. This was in the day before everyone had digital cameras, so we used polaroids. The pictures were the best. I'm planning to do one in the fall for both my younger son (16) & a group of my own friends. Your website is the greatest & has given me lots of ideas. Best of all, it's free. I HAVE BEEN LOOKING ALL OVER THE INTERNET FOR HALLOWEEN SCAVENGER HUNT IDEAS AND LISTS. I WAS ABOUT TO PAY FOR A SCAVENGER HUNT PROGRAM, THEN I FOUND YOUR WEB-SITE......HOW WONDERFUL!!! AND ALL FOR FREE!!! EVERYONE IS GOING TO LOVE THE HUNT!!! THANKS A BUNCH!!! i have found some really great ideas on this page!